← How can I attach the created PDF file as email attachment? InfoPath is a software application developed by Microsoft Office. You can use it to design, distribute, fill and submit electronic forms containing structured data. Microsoft InfoPath was initially released as a part of Microsoft Office 2003 family. In summer 2010, InfoPath was split into two applications: InfoPath Designer 2010 which aims to create forms and define data structures, and InfoPath Filler 2010 which aims to fill out and submit forms. To print Infopath document to PDF file, there are several methods. You can use a document converter to change Infopath document to PDF file first and then use an printer driver to print it. Or you can use a document printer like docPrint to print Infopath document to PDF file directly. In this article, I suggest you to have a shot at using docPrint to print Infopath document to PDF file. At first, open the Infopath document you want to print. Third, select “docPrint” on the Name menu, and select options like color and orientation of the page. 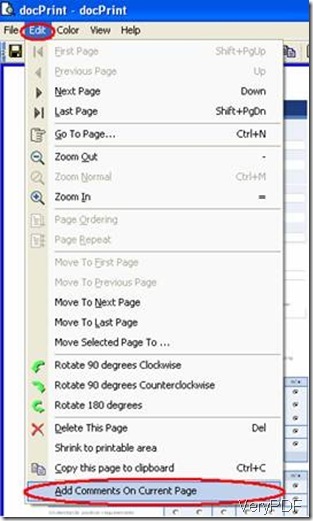 For example, if you want to change the page order of the file, you can select either “Front to Back” or “Back to Front”. Fourth, press OK. docPrint will start converting Infopath to PDF. In seconds, the icon of docPrint will disappear, which means the PDF file is ready. And then you can preview the file in the Print panel. To add a comment on the PDF file, for instance, you can select “Add Comments on Current page” on the view menu. 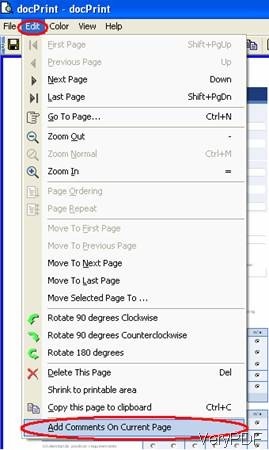 At last, click on the printer icon on the toolbar, and select the printer connected to the computer to output your PDF copy of the InfoPath document in the printer. At the same time, the PDF file can be saved in the computer by default. This entry was posted in docPrint Pro and tagged document printer, infopath to pdf. Bookmark the permalink.